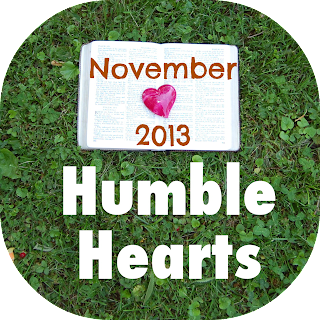 This month there are new ways to get updates of new post on Humble Hearts. You can now follow on Pinterest, on Twittter, on Instagram, by liking the Facebook page and by signing up for emails (sign up on the right side bar). Look for new posts on Mondays and most Thursdays. Parenting Verse: Deuteronomy 6:6. I've enjoyed meditating on Deuteronomy 6:5, and I'm excited about the next verse. Completing the "I Can Know God" teaching series with "God is Love" and "God Cares About You". What a valuable truth we get to teach our children. God loves them. So simple, but so important. "I Can Know God" for Toddlers. This will take the teaching series and simplifying it down for toddlers. Resource Review of the CD "Songs For Saplings: ABCs". This is a CD of scripture songs. 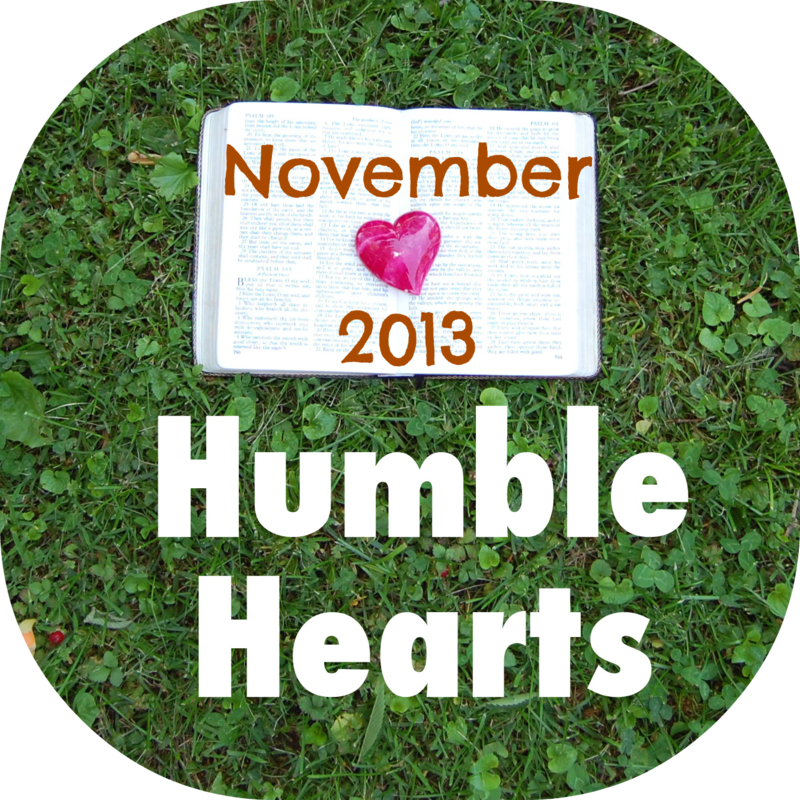 On Facebook and Twittter I will post a Bible verse each day about the heart. At Ministry-To-Children they have a thankfulness calendar for the month of November. The idea is to have your child write one thing each day that he/she is thankful for. Even though my girls can't write, they love to see me write down words that they say. I've printed the calendar out, and I will have them tell me one thing they are thankful for each day, and then I'll write it down. Even if we don't remember to do it each day, I think that it will still be helpful.